Our Mission is to make disciples for Jesus Christ by sharing our loving relationship with him through all our actions in worship, nurture, education, evangelism, and outreach. 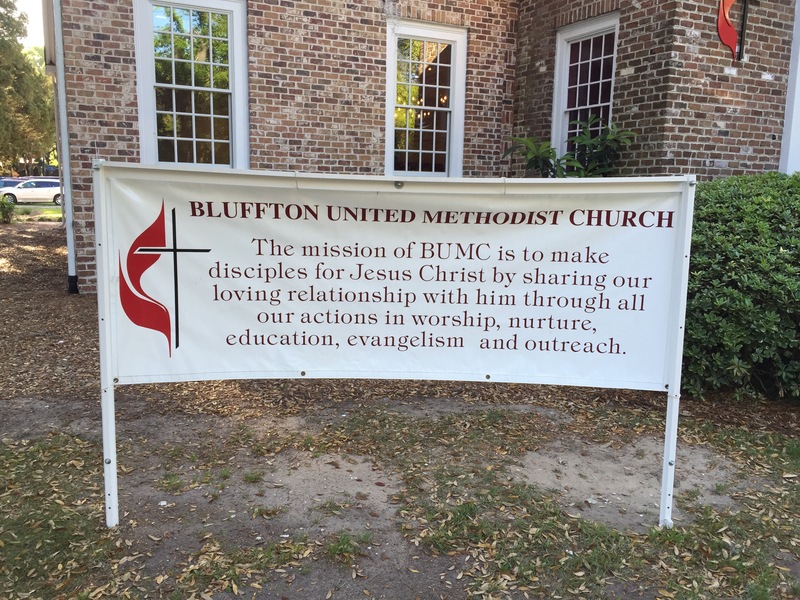 Bluffton United Methodist Church is just that – a United Methodist Church. 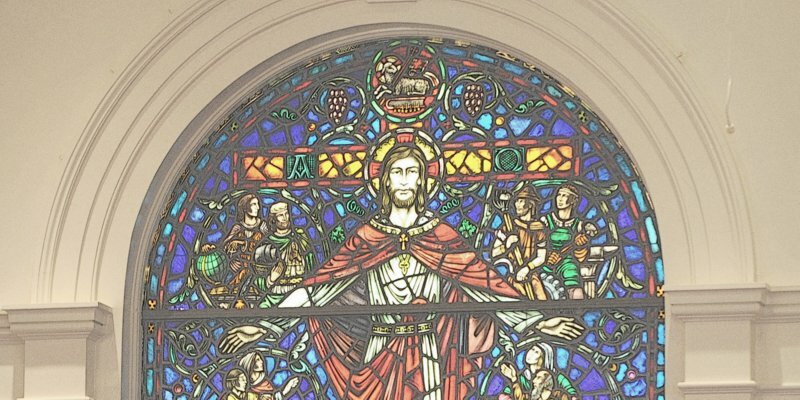 As such, we are bound by the Book of Discipline of the United Methodist Church; however, there is an authority which is even higher – the Holy Bible. Bible – We believe that the Holy Scriptures are the inspired Word of God. Through its pages, we learn, not only who God is, but how he would have us live. Trinity – We believe in the Triune God – Father, Son, and Holy Spirit. Salvation – We believe that salvation comes by grace through faith (Ephesians 2:8). Sanctification – We believe that each believer is justified by faith, but then the ongoing work of living a sanctified life is through the action of the Holy Spirit in the life of the believer. 1853 – first church built on Boundary Street by the Methodist Society. Sold to African Methodist Episcopal Church in 1875. 1890 – first church built on this site. Destroyed by a hurricane in 1940. 1945 – Initial construction of the present building. 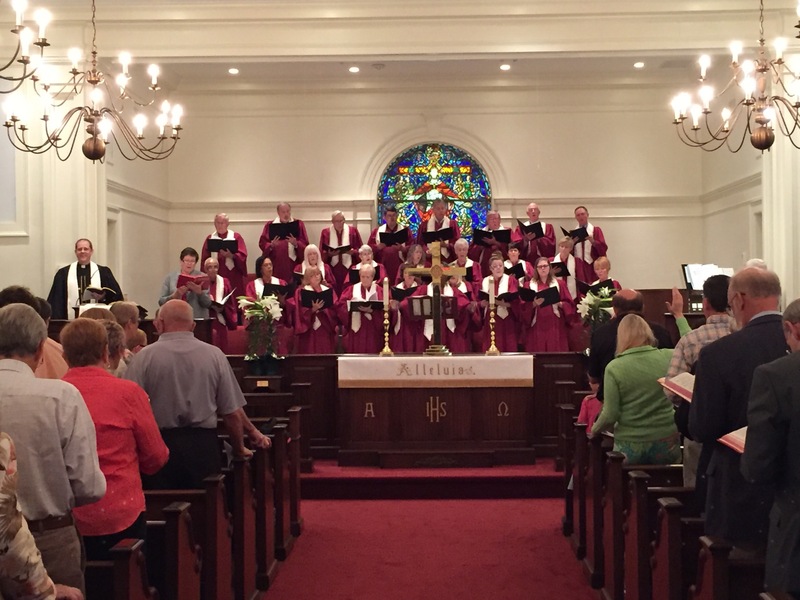 2015 – Sanctuary nearly doubled in size, and Music Suite added. 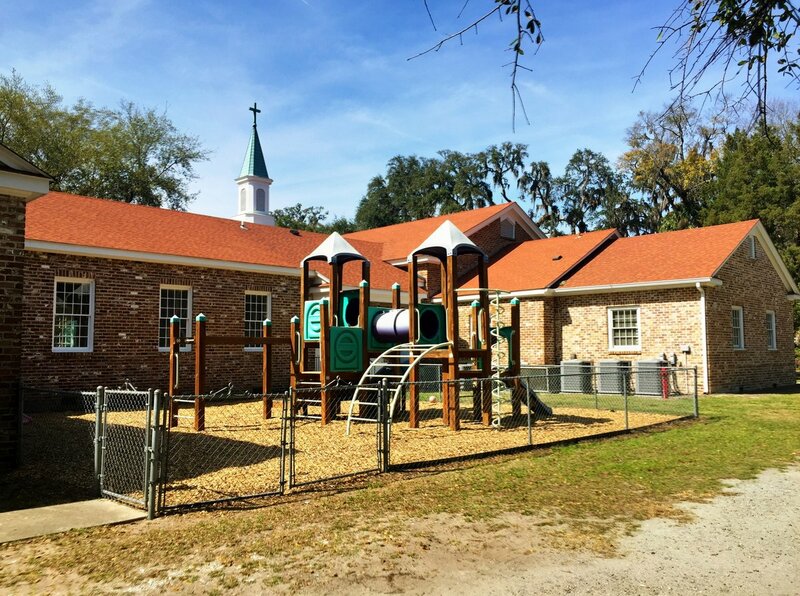 The church is within Bluffton’s National Register Historic District. Read More about our History. 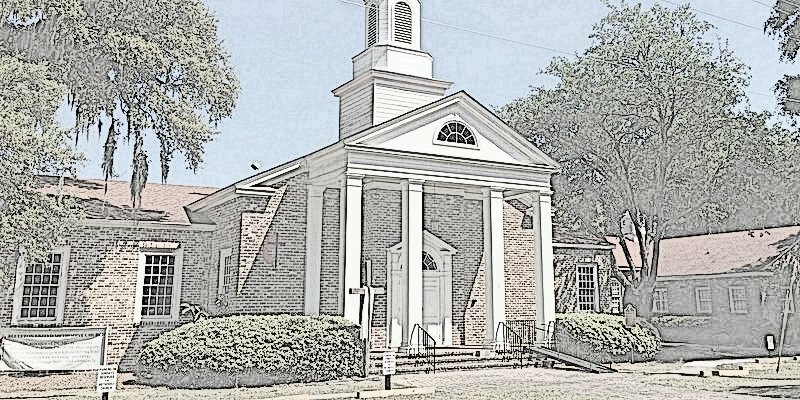 The United Methodist Church is a connectional ministry – we are all connected to each other the local churches are connected. Together we can accomplish things we could not do on our own. 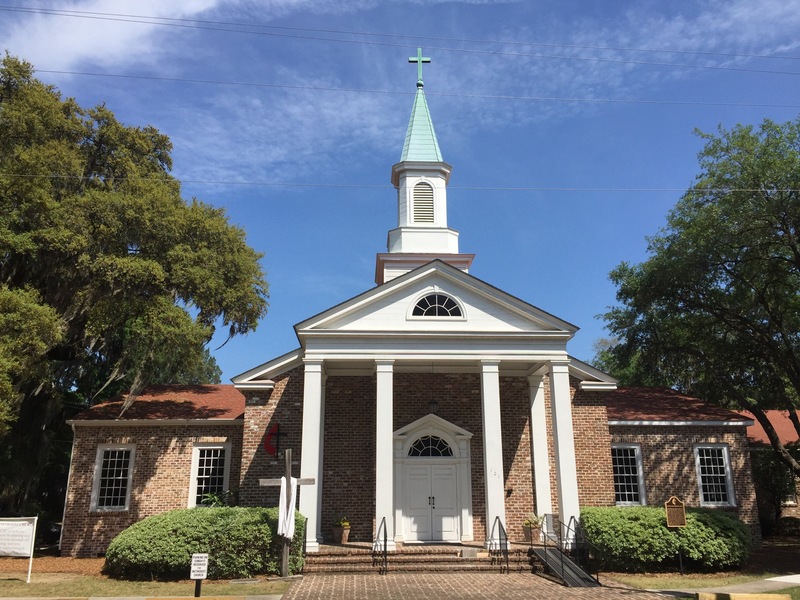 Although the terminology takes some getting used to, our connection to the South Carolina Conference of the United Methodist Church provides training experiences, leadership experience, and opportunities to work together for the common good. As an example, our local unit of the United Methodist Women support 5 mission organizations throughout South Carolina. Our pastor, Rev. 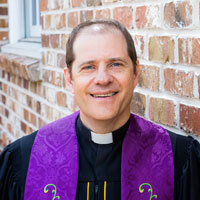 Joey is ordained as a minister by the Conference, and he is appointed to serve BUMC. We have a close connection to the founding of Methodism. John Wesley, founder of Methodism along with his brother Charles, joined James Oglethorpe, the founder of Georgia in (present day) Savannah in 1735, just two years after Oglethorpe landed. John and Charles, ministers of the Church of England, led a lively renewal movement within the Church which turned into an organized Methodist movement in the Colonies in the 1760s. John Wesley is perhaps best known by the words attributed to him that you see to the right. He may not have said these precise words, but they were embodied in his many sermons. 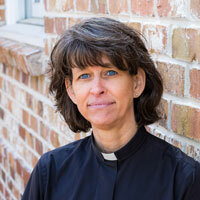 Ordained in 1998, Rev. Joey served in three charges in South Carolina before coming to us in 2010. Together with Mickaylla, his wife, they have 5 boys between ages 15 and 21. Becky was a member before starting her journey to be a minister. She was licensed in May, and we were thrilled when she was appointed as our Associate Pastor in June, 2016. Becky and her husband, Chris, have been married since 1993 and have three amazing teenagers; Christopher, Becky, and Michael. Ella has served us since 2004 directing Chancel Choir, Cherub Choir, and Praise Team as well as coordinating the Wesley Ringers. 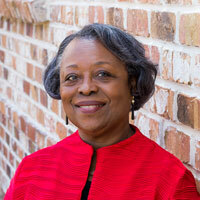 She arranges performances at BUMC of outside groups as a service to the community and to assist in worship. Studying at Oberlin Conservatory of Music, Hochschule für Musik in Munich, Germany, and Duquesne University, she taught school vocal music, and served as director of The Cleveland Orchestra Children’s Chorus before moving to Bluffton in 2001. Read more about Ella’s distinguished career. 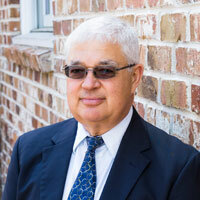 Greg has served as organist in various churches for 49 years in Ohio and in the Low Country. He studied the organ privately and has been a member of the American Guild of Organists since 1967, serving in various leadership positions in the Canton, Ohio Chapter and in the Low Country Chapter. Greg resides in Bluffton with his wife Pamela. He has two daughters and three grandsons. Read more about Greg. 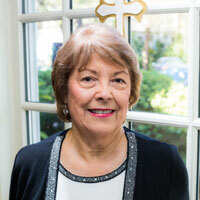 Pat has been our Office Administrator since 2004. Her school studies focused on administrative office skills with her first job at Alcoa. After her children were all in school, she worked part-time in a real estate office and then as a “Temp”, going from place to place. Being a temp helped her to learn a variety of skills. We had a major building expansion in 2015 to handle our growth in all of our ministries. The sanctuary seating capacity was doubled and now seats 400. 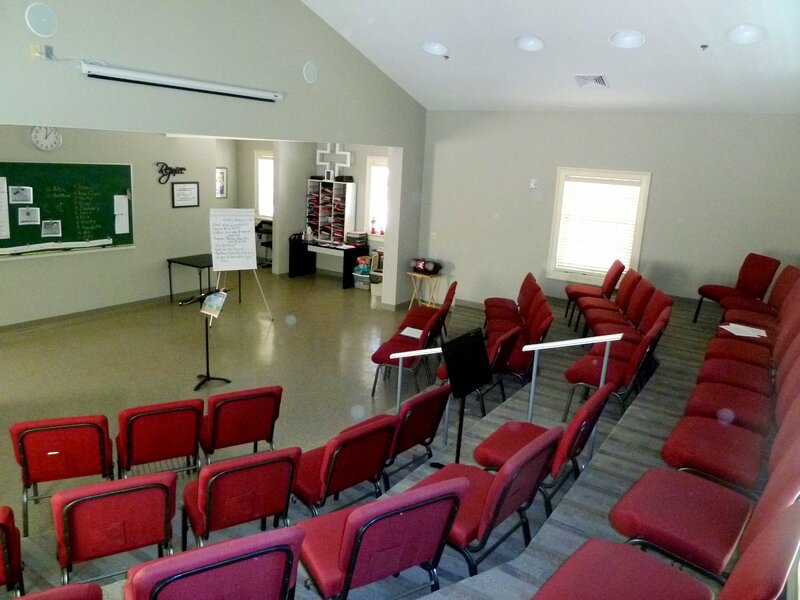 Our new music suite provides rehearsal and storage space for our adult and youth choirs along with our hand bell and chime choirs. 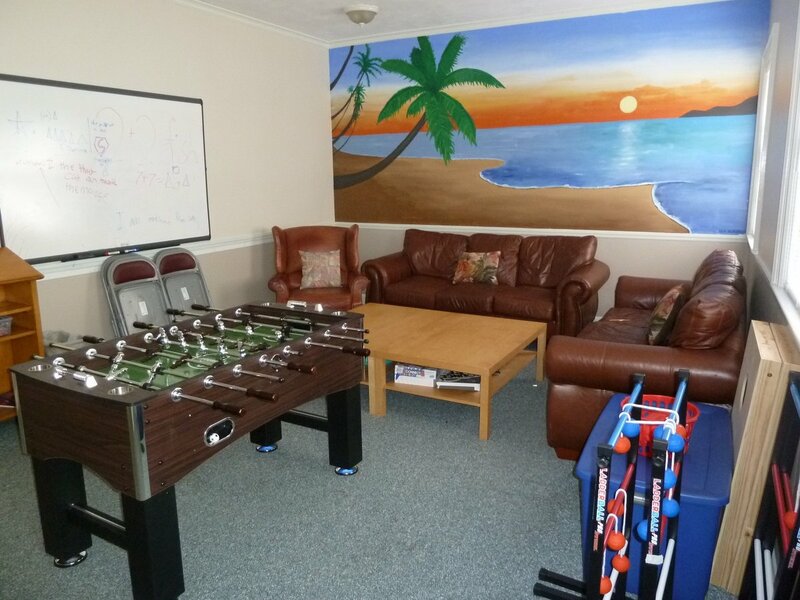 Our Fellowship Hall accommodates church and social gatherings and provides meeting space for community groups using the church during the week. 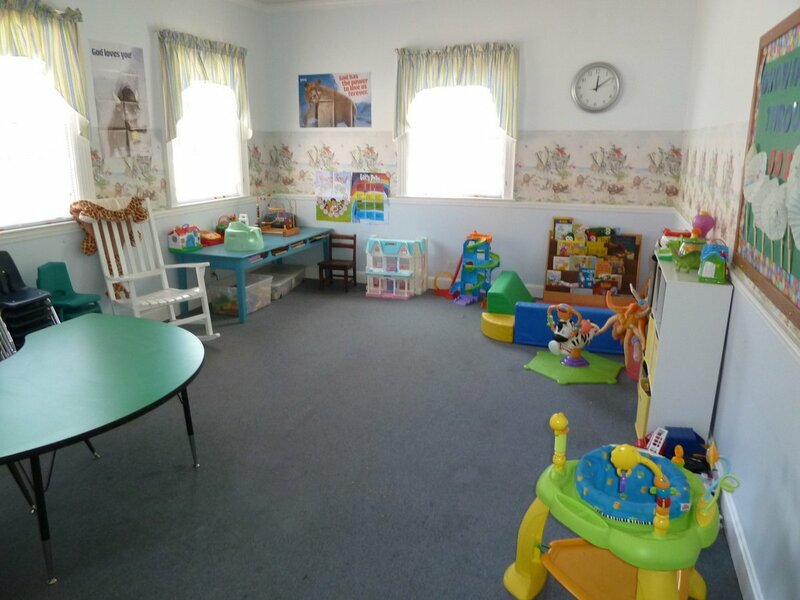 In the education wing we have two nurseries plus meeting rooms for adult and youth Sunday school programs. 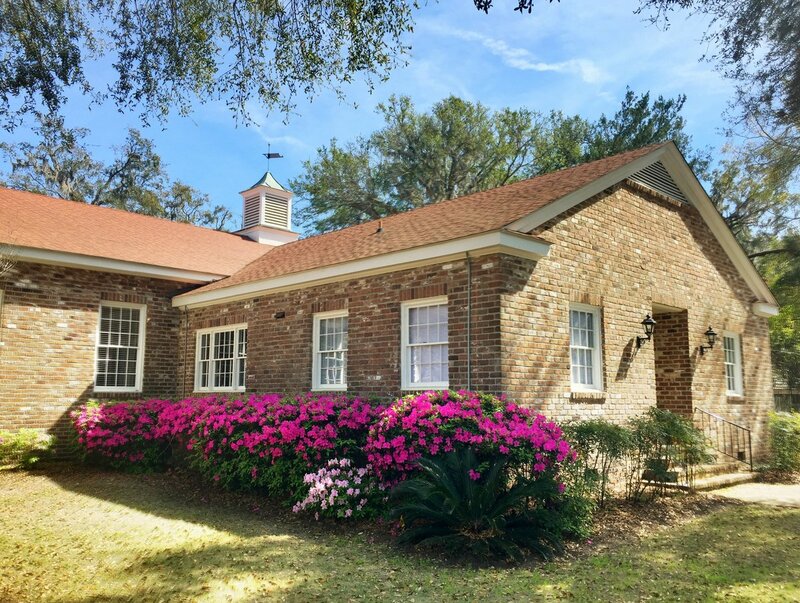 The church office and the pastor’s study are on the Calhoun Street entrance to the Fellowship Hall. 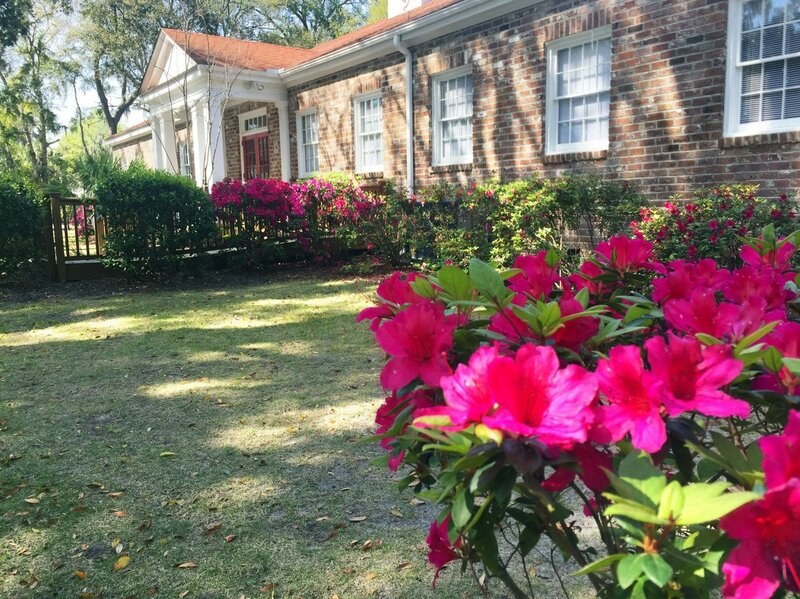 Read more about the History of Bluffton United Methodist Church.